I’m taking Waaagh! Valorkis to the tournament this year. Not, as it turns out, fielded as a 14-model Adeptus Custodes army… Instead, the Orks are being fielded as real greenskins as a new “no counts-as” rule ruled out my original plan. The horde got a hell of a lot bigger, with 56 models to paint. It’s also a fair bit bluer as well… This is a Deathskulls army, and so “lucky blue” is the colour of choice. I’ve scraped together some (late!) evenings to paint the new models. However, work, thesis and family have ensured that there’s seldom any time for blogging… So, if you’d like to see more WIP photos from my painting desk, I now have a regular stream of updates on Instagram – you can find me at @morsla_minis. 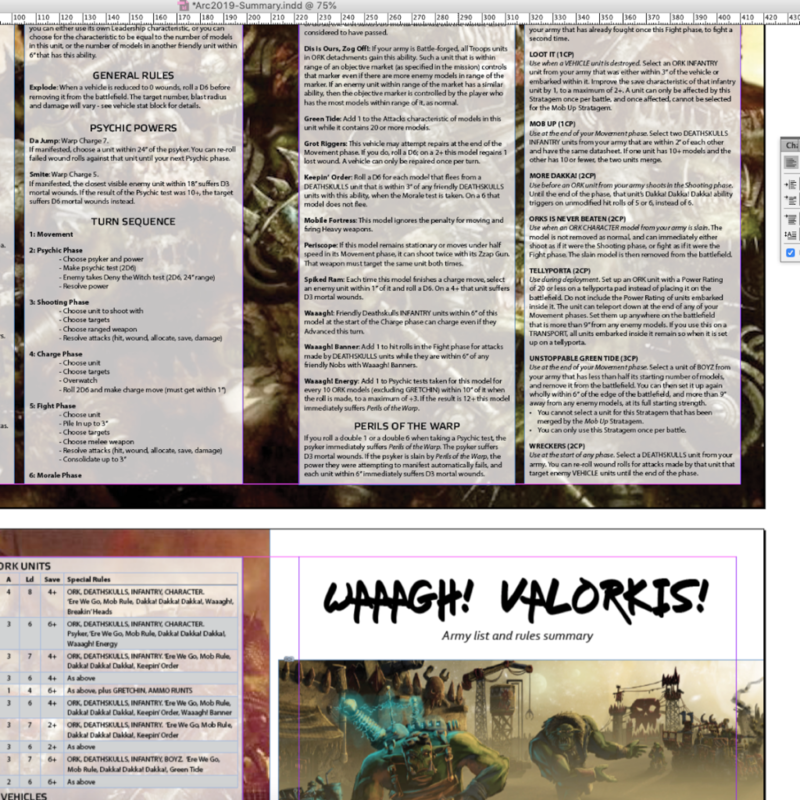 Waaagh Valorkis is now underway… As hinted at in my last post, I’ll be working on an Ork army for next year’s Arc40k tournament. 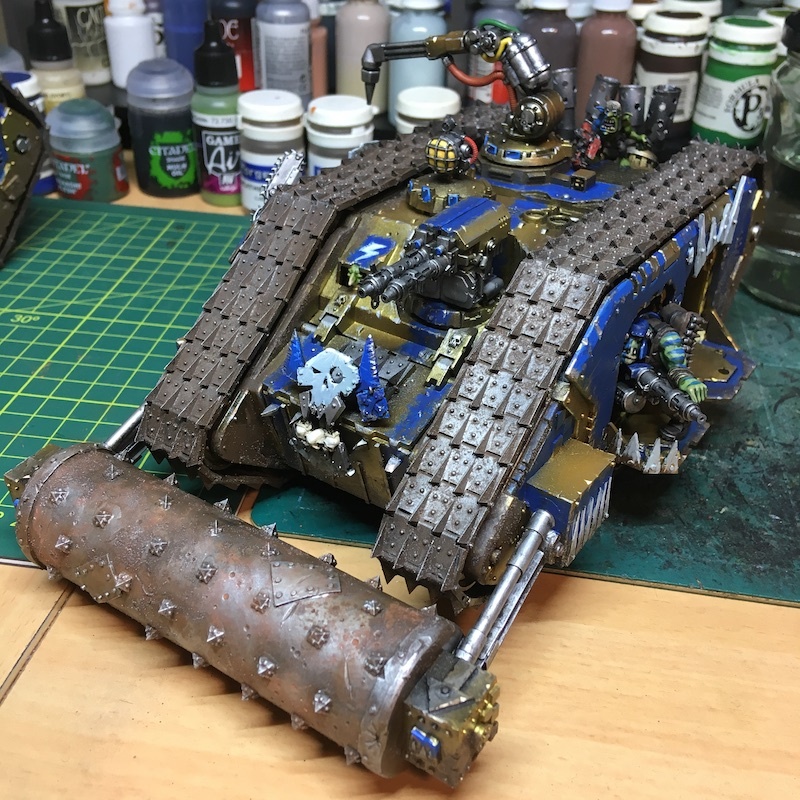 Not just any Orks though – some particularly delusional ones, with their sights set on revenge against a particularly tough opponent: Captain-General Trajann Valoris, of the Adeptus Custodes. 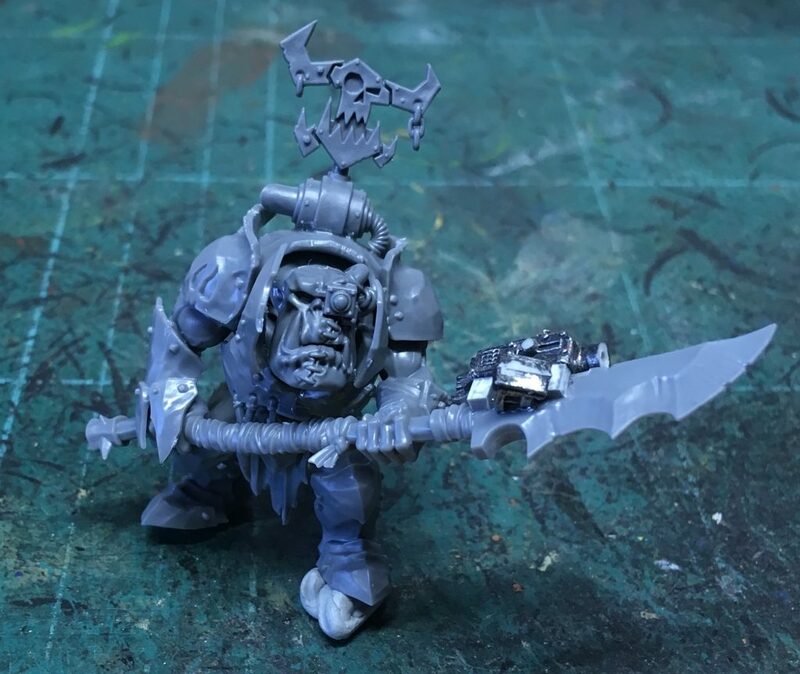 Chief headsman of the Emperor’s own bodyguards, and personally credited with bringing a sudden and violent end to Waaagh Krushfist back when he served as an Allarus Terminator. After Krushfist died, most of the gathered Clanz dispersed: Ork hordes rarely survive the loss of a powerful leader. In this particular case though, some of the lesser bosses saw what happened, and decided to seek revenge. What better role model for an Ork than the golden warriors of the Custodes? Powerful, nigh-unkillable warriors, capable of holding their own in a scrap against almost anything in the galaxy. See, when some git teleports in and stomps yer boss, first ya get kunnin’ – kidnap a good mek, get him to make tougher armour for the ladz, and some of them choppas wiv guns on ‘em. Then ya get brutal – start kickin’ heads in and make enough noise to get the Emperor’s boyz payin’ attention. Then ya get some revenge. 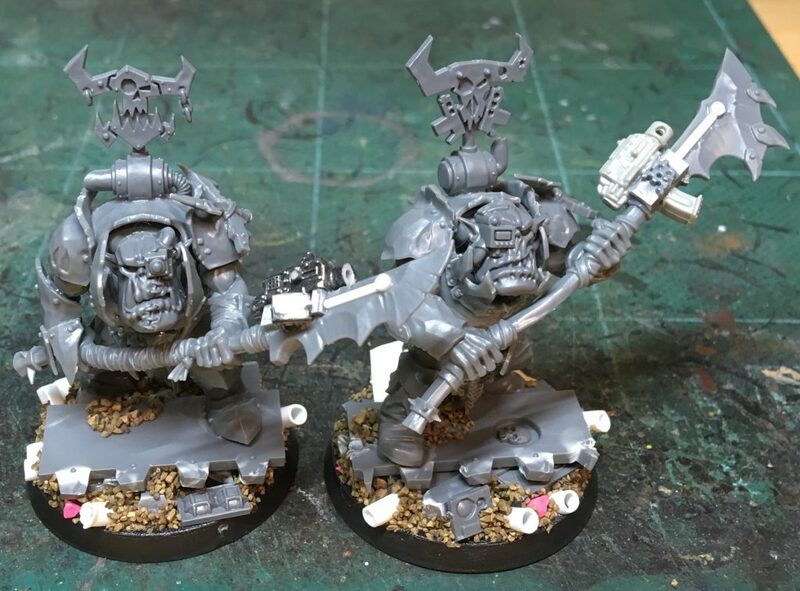 Here’s how the first Ork Custodes test model started out – using Orruk Brutes as the main (Artificer Armour) troops, armed with Guardian Spears and clad in thick plate. The models below are part of Da Cross Toof Mob – a unit formed from Bad Moons, sporting fancy gear like bionics that the other units couldn’t afford. It’s a start, but still needed something else: some unit markings on the shoulders, and a more high-tech look to the spear blades. I’ll paint those up as “proper” power weapons, so I wanted to copy the visual cues from other 40k powered blades.